The show consists of a female flamenco dancer on a vertical wooden floor “tablao” hung at a very considerable height. She dances and stamps on the “tablao” to the beat of a “cajón” playing live vertically. Then the show continues with a dance choreography on the same wall, offering us a fusion between contemporary dance and genuine flamenco. Get the WOW effect with this unique and genuine live show. The show lasts 20 to 30 minutes which is the maximum time the artists can remain hung. 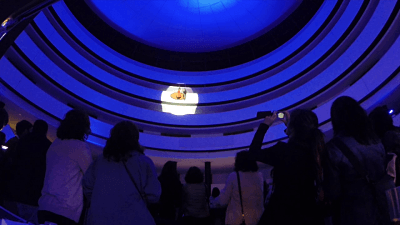 Click here to whatch a video of this vertical Flamenco show.